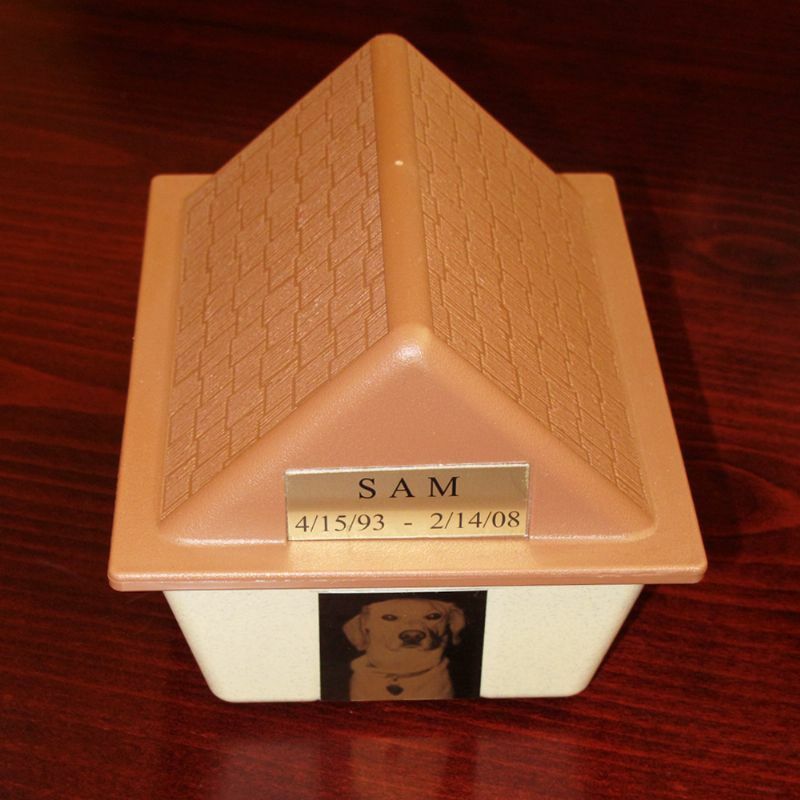 The Hoegh Dog House Pet Urn is constructed of high impact styrene plastic and is an inexpensive alternative to a casket. It comes with an easy open/close plastic bag for cremains and an order blank for pet's picture and nameplate. 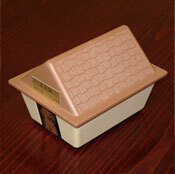 It features a rustic brown shingled roof with wheat colored siding. 4.5" x 6" x 4.5"